The view from Casole d’Elsa is breath-taking, with the rolling hills of the Siena countryside unfolding all aroundand, not far away, like a guardian watching over the village, the historic towns of San Gimignano and Volterra. The town’s defense walls, which at sunset are bathed in warm colours, are synonymous with the history of this borderland, once fought over between the bishops of Volterra and Siena. Thanks to this tumultuous past, some fortifications were built in the town, along with two towers from the 1400s and a castle, a 14th-century stronghold that today is home to the town government. This centuries-old, imposing building conceals a tender and contemporary soul, centred around the Arte Viva Gallery, founded by Giuseppe Ciani and home to a magnificent collection of drawings and painting by children from all over the province. Luckily, art in Casole can be found everywhere. Whether it’s because of the peace of its location, immersed in nature, or the inspiring landscapes that surround the town, artists create truly unique things here. They’ve left behind traces of sculptures and murals that seem to have been here since forever and which locals couldn’t imagine being anywhere else. One of these creative geniuses is Deva Manfredo, who in the forest between Casole and Chiusdino created the Dream Woods, an enchanting place where nature is both the backdrop and the artwork, an oak tree forest where stones and coloured glass come to life, blending harmoniously with the environment to create a little corner of the world that’s perfect for meditating and taking a relaxing walk. 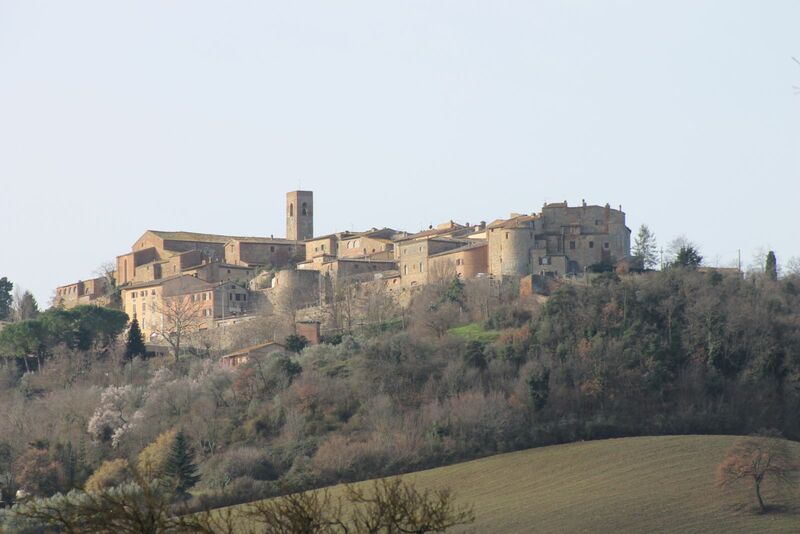 The history of the town and the surrounding area can be explored at the Museum of Archeology, where you can learn about life in Casole d’Elsa all the way back to the Etruscan era, as well as admire paintings and sculptures from the Sienese school dating from the 14th to 16th centuries. But the village doesn’t cease to surprise its visitors even in the winter: during the Christmas season, the locals get together to stage an enormous living nativity scene, which has become an open-air performance that attracts many visitors.